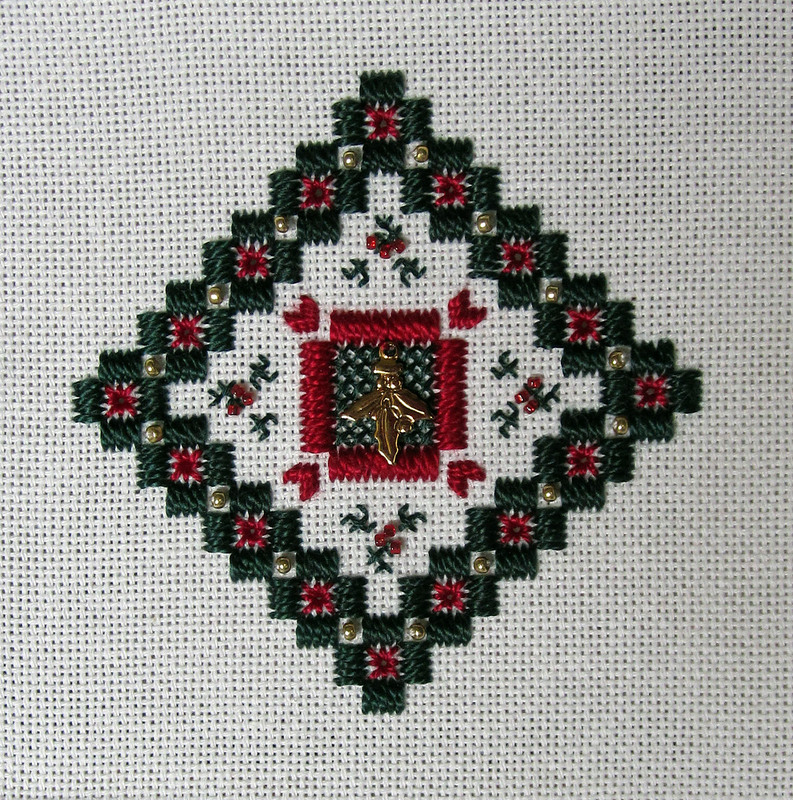 Lara's Loose Threads: Hardanger holly ornament finished! My 9-day stay-at-home vacation got off to a good start - I actually finished another project! Granted, there wasn't a whole lot left to do and it stitched up fast, but I'm still happy that I've finished another thing in my pile. 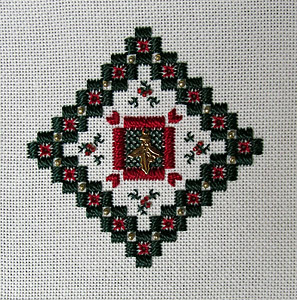 I've stitched a little more on the other Christmas ornament from the post below and I've started on a Mill Hill bead ornament I picked up at my LNS.